Dalston E8 carpet cleaning is your first choice in carpet cleaning services. Our Dalston carpet cleaners have years of experience and knowledge backing up their work which allows them to tackle even the toughest mess. They are fully certified, which is guarantee for quality. Call us on 0208 861 0979 , if you have questions about our services. Dalston E8 dry carpet cleaning uses an advanced dry powder that is vacuumed off your carpet for a nice, clean look. It’s very fast but not so effective cleaning method. Dalston steam carpet cleaning uses steam to remove dirt and grime from deep within the fibres of your carpet; making your carpet look brand new. This is the most recommended technique by the industry. Dalston upholstery cleaning, rug cleaning and stains removal will handle that dirty area rug or furniture. Magic London Carpet Cleaning in Dalston E8 has the answer to all your carpet cleaning needs. 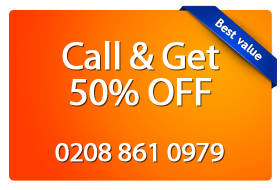 Just call us on 0208 861 0979 for more information about our services and an estimate price.